Attention Readers: As you know, my book, Angels Unawares-4 Legged Ones, with the subtitle: What the Church Didn't Teach Me I Learned From My Poodle, was scheduled to go out on Amazon and Kindle at the end of September. Just before publishing it there a prominent Literary Agency signed me to represent the project, which means my book will first be published traditionally, then it will go out on Amazon and Kindle. Here is an excerpted chapter that will give you a chuckle. 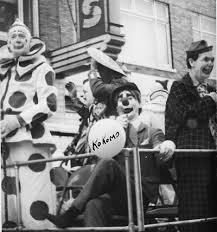 It was a circus adventure during these very early days when I was Kokomo the Clown before becoming the Ringmaster. Traveling with exotic animals that some communities had never seen before provided many unpredictable adventures. The Tom Packs Circus (sponsored by the Police) was playing in a ballpark in Belleville, Illinois. 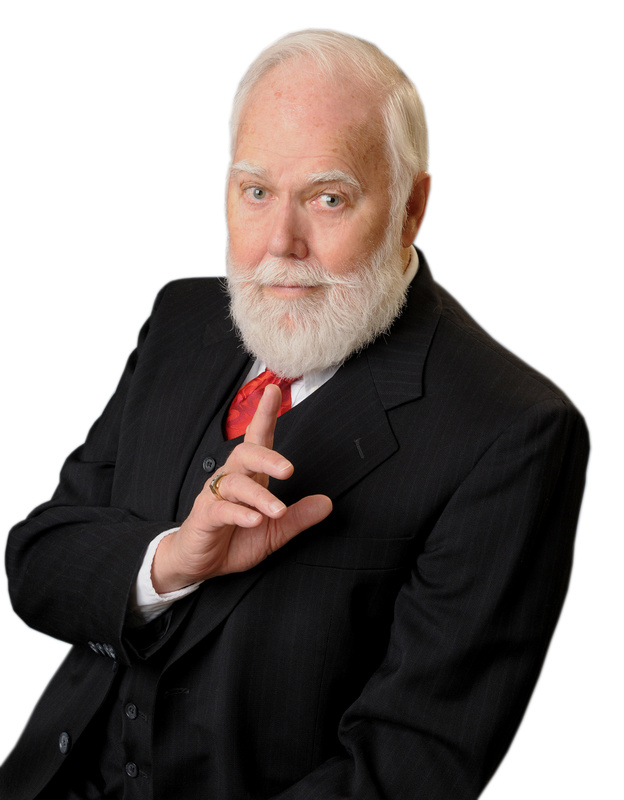 Tom Packs, the founder and owner of the circus was the first to take the circus out of the Big Top and put it into arenas and outdoors in ball parks which others began to do. The size of the ballparks enabled the circus to have 10 rings rather than the customary three...ten rings to keep track of. The rigging could go higher than in any confined area like a big top or arena. The sky was indeed the limit. Then too, taking advantage of that, each performance ended with a massive fireworks display that would rival any exhibited in America. During the afternoon performance, a camel in a mixed animal act bolted out of the ring, and through a gate mistakenly left open. Outside the gate was an active train track where a train was puffing along. The camel ran in front of the train which hit it. Fortunately, the camel was only stunned, not seriously hurt. The train stopped, the engineer got out to see what had happened. The trainer had just finished his act and rushed to and through the gate to assess the situation then introduced himself to the engineer. "I'm Rex Williams, the animal trainer." "And I'm Luke." The engineer went on to say, "Look, I gotta make a re-port on this to the dis-patcher. Would ye ride in the cab with me to the roundhouse so I can do thet?" Rex climbed into the cab of the engine and when they got to the roundhouse, Luke, who nobody seemed to take too seriously, had to explain this strange event. He picked up the dispatch phone line to report this incident to his superiors.. "Hello diz-patcher? This is Luke. I jest wanna re-port that I jest hit a camel outside Belleville...a camel ! A camel! A c-a-m-p-b e l l CAMEL!...I did too!. "Oh yea? Well here's the owner of that camel, you jest talk to him." When handed the phone, Rex said, "Hello I'm Rex Williams. I'm with the circus and Luke's train did hit one of my camels." "Well I'm mighty glad to talk to you Mr. Williams," the dispatcher said, "Ya know, Luke has been knowed to take a nip or two now and then." Animals are extraordinary beings with a wide range of personalities and emotions. And sometimes there can be some emotions that trigger conflicts. Chimpanzees for some reason hate clowns, which can be a problem in the circus. Especially since (often) the clowns perform right before or after the chimp act, meaning they have to pass each other in the hallways to and from the dressing rooms to the performance area, something the clowns always dreaded. The clowns tried to make a wide swath between themselves and the chimps in these narrow hallways as the chimps screamed and yelled at them while the trainers tugged at their leashes. It must be the clown makeup that upsets them. It was during an engagement of the Pan American Circus at the Palacio De Los Deportes (Sports Palace) in Havana that the age-old antagonism came to a head...actually...to a bottom. As the band played oriental music, the clowns, including me as Kokomo the Clown, entered to do the "snake dance" routine. Just as we all got into the ring and started the 'dance,' the air was pierced by extra loud chimp screeches, only these were NOT back in the hallway. They had broken loose and were charging through the entrance toward the clowns in the ring who all scattered, leaping over rails into the seats and up the aisles to get away. That is with the exception of this one who slipped on some tiger poop left in the ring, slowing down the exit strategy enough that the one big chimp was able to grab the seat of my pants, ripping it completely out, leaving my bare bottom in full view as I frantically vaulted over a rail to an aisle then running to safety while the chimp stood in the ring with pieces of the bottom of my pants in both hands as he beat his chest triumphantly. The audience ROARED with laughter that could be heard outside the Sports Palace. Safely back in the dressing room, the clowns slumped into their chairs around the dressing table, breathing heavily, especially little George Sonny Riley, who was 28 inches tall. That chimp to him was like a gorilla. As we caught our breath, the head of the Sports Palace, who was the brother of President Fulgencio Batista, bounded into the dressing room excitedly saying, "That was GREAT! The funniest thing I've ever seen. The audience LOVED it. Keep that in." That was many years before I answered the call to the ministry so was able to give a response back then that would not be productive to utter today. Photo Caption: Kokomo the Clown Center-Seated.